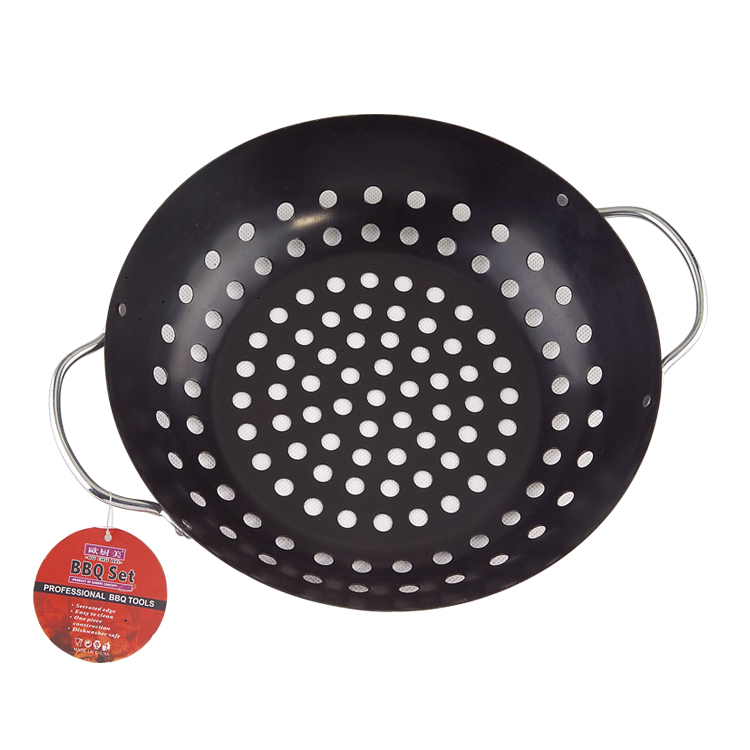 This vegetable steamer Bbq Grill Basket is built to last with sturdy nonstick coated construction, which ensures the Bbq Accessories will not bend or break when you are the grill master and need the high quality Grill Tools to get the job done. Using this vegetable baskets with handles will let you get that seared taste easily and without damage to your barbecue or the veggies themselves.Vegetable Grill Basket in style with this beautifully & simply designed BBQ grilling basket pan for outdoor & indoor that is just a part of the grill BBQ Accessories set. Perfect for cooking vegetables, shrimp, meat and much more without losing your hard-earned meal through the grill top. It is generously sized so you can grill a fairly large amount of food at once! Looking for ideal Non-stick Grill Wok Manufacturer & supplier ? We have a wide selection at great prices to help you get creative. All the Cast Iron Bbq Grill Plate are quality guaranteed. We are China Origin Factory of Bbq Round Steak Grill Rack. If you have any question, please feel free to contact us.